West Forks plantation, a town of 56 residents, voted Thursday night by a majority not to support Central Maine Power’s project to transmit electricity from Canada to Massachusetts via Maine. In a 45-7 vote, townspeople objected to the New England Clean Energy Connect project being pushed by CMP and its partner, Hydro-Quebec. Last week, the town of Caratunk retracted its earlier letter to CMP supporting the project. 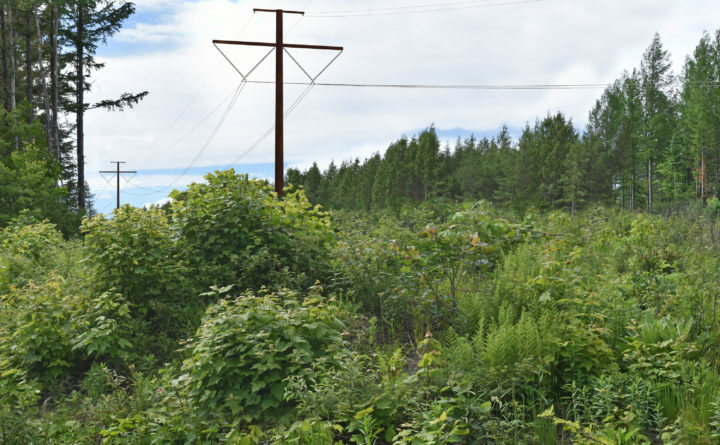 In a filing with the Public Utilities Commission, the town of 68 residents cited environmental concerns and worries about not getting enough financial benefit from the project. West Forks had not sent a similar letter of support, said third assessor Ashli Coleman, and until Thursday night’s vote, had kept a neutral status. However, a Somerset County commissioner did individually send a letter of support that is posted on CMP’s website for the project, she said. The town already has filed for intervenor status to participate in hearings on the project. The project still needs to be approved by Massachusetts and Maine regulators. Coleman said West Forks is the only organized town along the new route CMP plans to build starting at the Canadian border that will be directly affected by the lines. The new lines will then connect to existing CMP lines and run through Lewiston. Hydropower from Hydro-Quebec will run through the Maine lines to Massachusetts customers. “It will change the view shed and affect the national scenic byway,” Coleman said about concerns expressed by townspeople. She also cited groundwater issues and an overtaxing of the town’s infrastructure as workers flow into the town to build the new line. She added that she questions the accuracy of financial estimates CMP has presented for tax benefits and mitigation for altering the landscape and wildlife habitat.